Continuing the celebration of the 10th anniversary of its Oscar shorts release in theaters in the U.S., Latin America and Europe, ShortsHD, The Short Movie Channel in high definition will release “THE OSCAR® NOMINATED SHORT FILMS 2015” across a variety of cable, satellite and on demand-platforms. The program will showcase the Live Action, Animation film nominees, giving people the chance to view the nominated short films prior to the 87th Academy Awards® ceremony on Sunday, February 22, 2015 hosted by Neil Patrick Harris. This year’s Oscar® Nominated Short Films have a global flair with projects originating from Poland, UK, US, France, China, Switzerland, Canada, Netherlands and Mexico. The 2015 theatrical release is already breaking records at the box office. 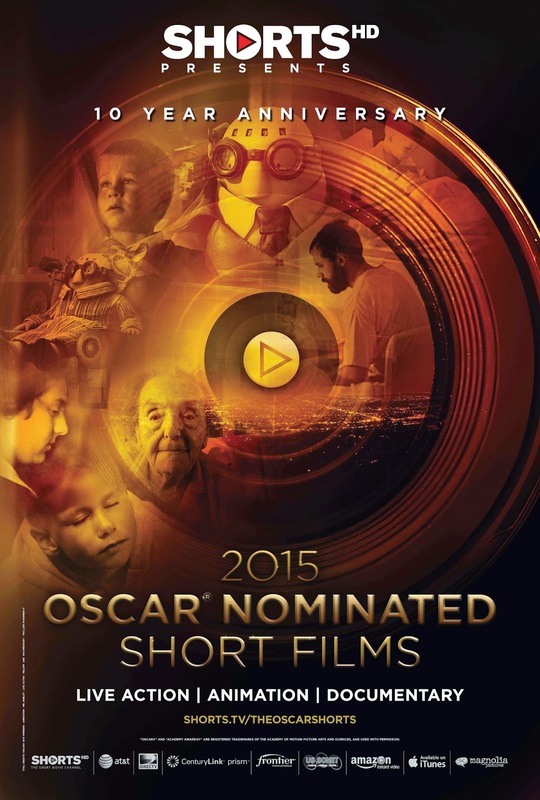 For a sneak peak at The Oscar® Nominated Short Films 2015 program, please visit: http://shorts.tv/theoscarshorts/. Below is a full breakdown of the platforms, cable system partners and where consumers can find the 2015® Oscar nominated shorts: DirecTV, AT&T, Comcast, Cox, Time Warner, Bright House, RCN, Charter, Metrocast, Mid Continent, iTunes, Amazon Instant Video, Vimeo. Synopsis: Jamesy and Malachy are presented with two baby chicks to raise by their soft-hearted father. Synopsis: Tensions arise between two brothers as their elderly mother requires more care. Synopsis: A lonely little pig in charge of maintaining the town dam is cruelly bullied by his classmates. Synopsis: Three sisters growing up in an unconventional Norwegian family ask their parents for a bicycle. Synopsis: A mysterious vinyl single gives a young woman the power to move back and forth through the years of her life. Below is an insanely cute video made by the star of Boogaloo and Graham, nine year old Riley Hamilton from Ireland, reading a letter to President Barack Obama asking to meet him to show him the film. Check it out.